Finally, you can make delicious cold brew coffee just like the restaurants, right at home with Cold Brew Express! Simply add coffee ground and water, let brew, then pout & enjoy-- It's that easy! The large 1-quart design lets you brew up to 4 cups at once, and the taste is so rich & flavorful, you'll never go back to having coffee any other way! Plus, cold brewing lowers the acidity for an ultra-smooth flavor you'' love. Great for coffees, teas, & more! 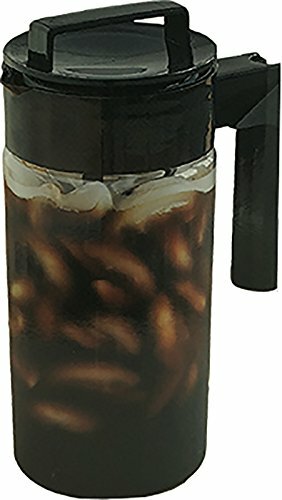 Do don't waste money buying cold brew coffee at expensive restaurants, make it yourself right at home quick and easy with Cold Brew Express. Makes Smooth, Flavorful Cold Brew Coffee! Brew, Serve & Store All-in-One. Great for Coffees, Teas, & More! If you have any questions about this product by TV Direct, contact us by completing and submitting the form below. If you are looking for a specif part number, please include it with your message.